USAC championships will be on the line Thursday night when one of America's most traditional and revered motorsport events takes to Perris (Calif.) Auto Speedway. The Annual "Turkey Night Grand Prix" marks the 74th running of the race which debuted in Los Angeles back in 1934 and has been won by many of the sport's biggest names. Parnelli Jones, the 1963 Indianapolis 500 winner and two-time (1964 & 1966) Turkey Night champ, will serve as the "Grand Marshal" for what promises again to be one of the signature events of the racing season. Defending champion Dave Darland (in photo) is among three former winners expected to compete in this year's 98-lap classic. Darland won the 2007 classic at Irwindale (Calif.) Speedway and last year's win at Perris made him the only driver ever to win the race on pavement and dirt. 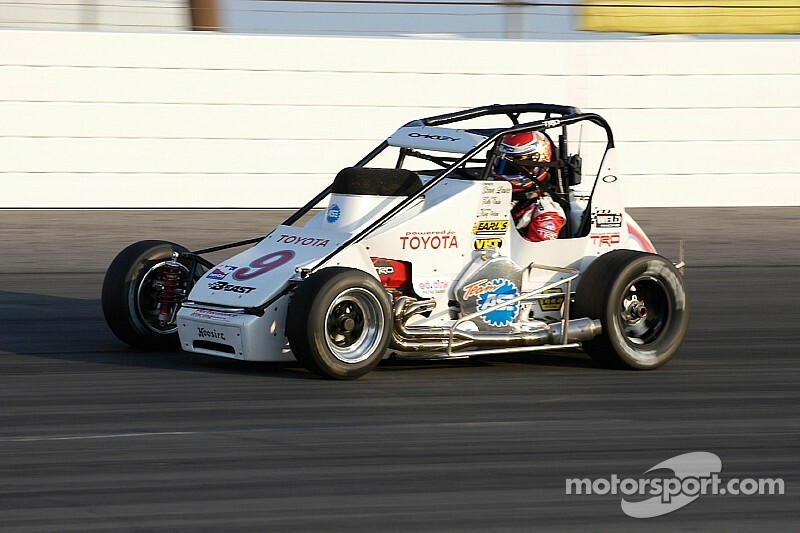 Kyle Larson, the 2012 champion, was recently announced as part of the potent Keith Kunz Motorsports/Curb-Agajanian Racing team while 2013 Chili Bowl Champion Bryan Clauson, the 2009-10 "Turkey Night" king, will pilot a Rusty Kunz/Curb-Agajanian entry. Larson's teammates for Thursday night's race will be 2013 Honda USAC National Midget Champion Christopher Bell, 2014 series point leader Rico Abreu and Tanner Thorson. Darland will team with Kevin Thomas Jr. and Honda Western Midget runner-up Trey Marcham for car owner Keith Ford, who fielded last year's race winner. The "Turkey Night" tradition began in 1934 at famed Gilmore Stadium, located on the former site now occupied by CBS Studios in Hollywood. Its history has spanned nine different speedways, including Perris Auto Speedway, which hosted the 1996 race and the 2012 and 2013 classics. 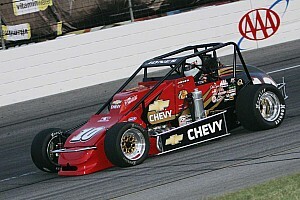 Ron Shuman has the distinction of scoring the most "Turkey Night" triumphs, a record eight between 1979 and 1993. Billy Boat scored a record three consecutive wins at three different tracks (1995-1997). Darland and Clauson could become only the third driver to win the race at least three times. The battle for the 2014 Honda USAC Midget championships will conclude at Perris, but not until three consecutive races this week at Canyon Raceway Park in Peoria, Ariz. Both the Honda USAC National and Western series are involved in the Peoria races which continue tonight and tomorrow night (Saturday). Rico Abreu (National) and Ronnie Gardner (Western overall and dirt) were the respective point leaders entering the Peoria races. The title would be Abreu's first while Gardner won last year's Western titles. 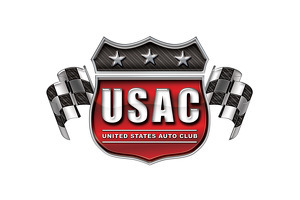 HONDA USAC NATIONAL MIDGET POINTS (Prior to Peoria, AZ races Nov. 20-22): 1-Rico Abreu-867, 2-Christopher Bell-788, 3-Tracy Hines-786, 4-Bryan Clauson-744, 5-Zach Daum-663, 6-Chris Windom-594, 7-Tanner Thorson-569, 8-Michael Pickens-499, 9-Dave Darland-419, 10-Andrew Felker-378. HONDA USAC WESTERN MIDGET POINTS (Prior to Peoria, AZ races Nov. 20-22): 1-Ronnie Gardner-629, 2-Trey Marcham-593, 3-Jarid Blondel-563, 4-Alex Schutte-443, 5-Chad Nichols-433, 6-Scott Pierovich-327, 7-Nick Chivello-322, 8-Shannon McQueen-296,9-Sean Dodenhoff-283, 10-Chris Ennis-216. HONDA USAC WESTERN MIDGET DIRT POINTS (Prior to Peoria, AZ races Nov. 20-22): 1-Ronnie Gardner-629, 2-Trey Marcham-593, 3-Alex Schutte-390, 4-Jarid Blondel-342, 5-Shannon McQueen-296, 6-Scott Pierovich-288, 7-Sean Dodenhoff-283, 8-Chris Ennis-216, 9-Tyler Dolacki-194, 10-Ricky Shelton-175.